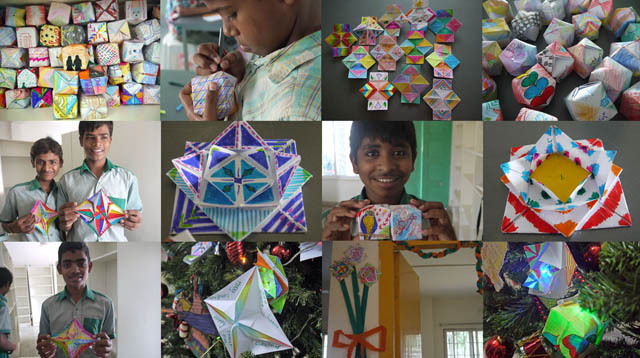 Children were introduced to the art of origami, they had first to create the decorative paper themselves and then they learned various folding techniques in order to create decorative shapes ideal for Christmas decorations. This was particularly satisfying as I noticed the children passing on these techniques and spreading the skills beyond my art classes. Also the technique is very practical as it requires no special or extra materials and can be carried on throughout the year.